The Karst Region in Slovenia is known for its limestone caves and windswept plains. 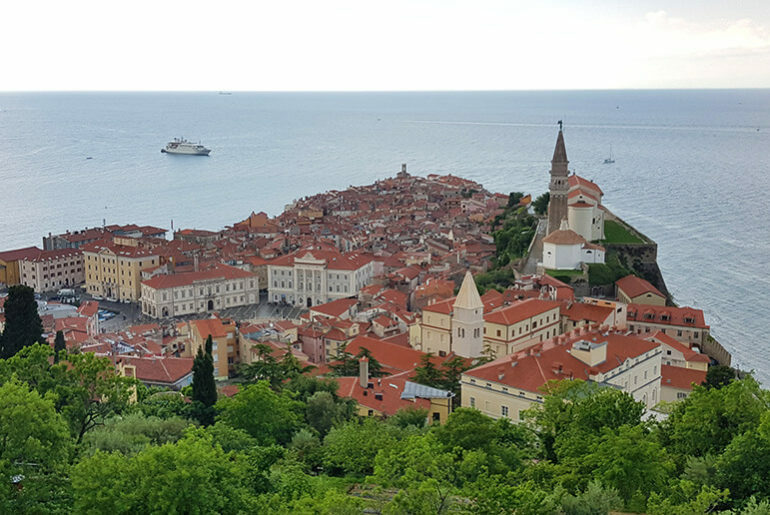 It has a multitude of attractions, but with only one day in the area, we had to pick and choose what we wanted to see. 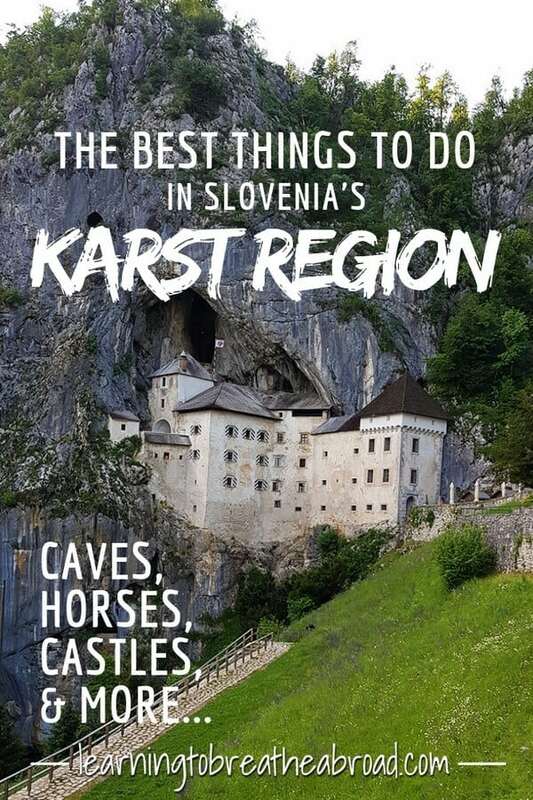 Here are our suggestions for things to do in Slovenia’s Karst Region. The first stop was the Military History Museum of Pivka. Yes, I know, not the most obvious first choice in attractions! Normally this wouldn’t have been on our list, but the good old museum had created an overnight camper stop in their parking lot. So buy an entry ticket to the museum for €10 and you get to stay for free – very clever! They had tanks, all manner of artillery, fighter planes, helicopters, torpedoes and even a submarine. Tai was in his element, rushing from one tank to the next, explaining the different guns and bombs to me! The next stop was the Skocjanske Caves. Listed as a UNESCO world heritage site, this is the largest cave in Europe and the caverns were enormous! The tour took us along winding walkways for 3km through the tunnel, sometimes with a sheer drop down to the underground river of more than 50m. The first part of the cave had magnificent stalagmites and stalactites, while the second part had the river rushing below in what felt like a sheer abyss. The exit from the cave was through an enormous hole in the side of the mountain. A little walkway had been carved out of the side of the rocky cliffs and led to a funicular to take us back up to level ground. The tour guide was very informative and the entire tour was very enjoyable. Sadly, we weren’t allowed to take any photos while inside the cave. COST: The entrance fee was €18 for adults and €9 for kids uner 12. The prancing, dancing, white Lippizaner horses were next at Lipica farm. The Lippizaners are said to be the most intelligent horses and thus easier to train for dressage than any other horses. The most remarkable things are that the foals are born brown or black and slowly change colour until by the age of 4 they are completely white! Only the studs are trained to “dance” while the mares are left to enjoy life in the paddocks and look after the foals. They have 350 horses on the estate and were expecting 30 new foals this year. They have a show that starts at 3 pm every day, so our entire day was planned to ensure we were there on time. The show took us through the stages of training from the younger studs just starting their training, right through to the older ones who looked like they were skipping across the floor. Such grace and majesty. They were incredibly impressive and a joy to watch! COST: The entrance fee was €23 for adults and €15 for kids. This included a performance of the horses “dancing”and a guided tour around the farm. The last stop was Predjama Castle. Built right into a cave in the rock. In fact, it is listed in the Guinness Book of Records as the largest Cave castle in the world! 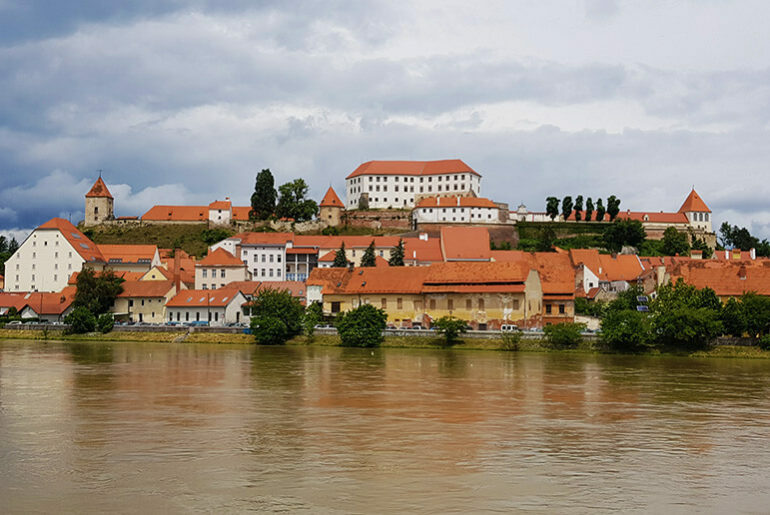 The most famous inhabitant of the castle was without doubt Erazem of Predjama, who is the subject of several well-known legends. There are lots of interesting exhibits in the Knights room, the dining room, as well as hunting trophies from the last owner, Prince of Windischgrätz. COST: The entrance fee was €14.90 for adults and €8.90 for kids up to 15 years old. 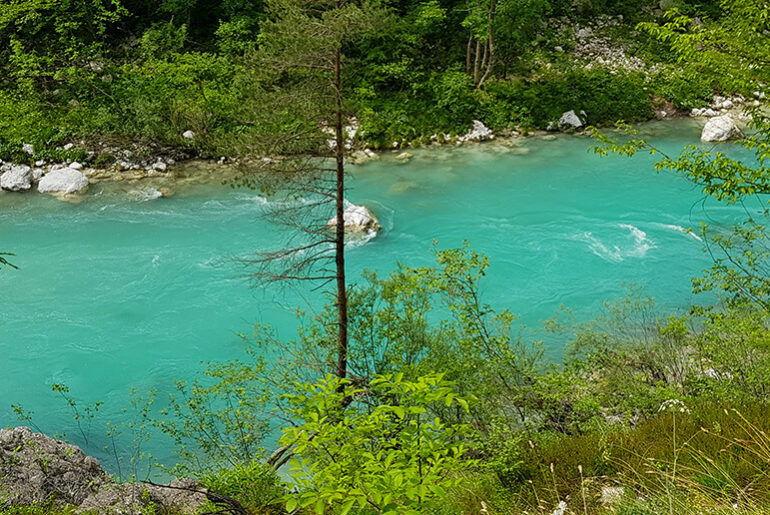 There are many more things to do in Slovenia’s Karst Region so make sure to plan for enough time to see them all. You can also buy combination tickets for multiple attractions that will work out at a cheaper price than paying for each attraction individually. From the Karst Region, we headed back to Ljubliana for a quick overnight before setting off East. The Military Museum in Pivka has sectioned off part of their parking lot for campervans. There are electricity and waste services, but no toilets/showers. 10Euro per night and you get free entrance to the Museum. Its close to Predjama Castle, Skocjanske Caves, Lipica horses and Postojna Caves.